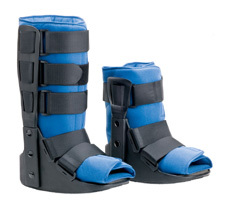 One of the best in its category to provide much needed compression and security along with patient support. The air travel walker high is the only boot that allows ultimate compression and superb security of the user. This extremely light weight walker is made for both men and women of almost all sizes from extra small to extra large. Good product to support your foot while travelling. Do try yourself.